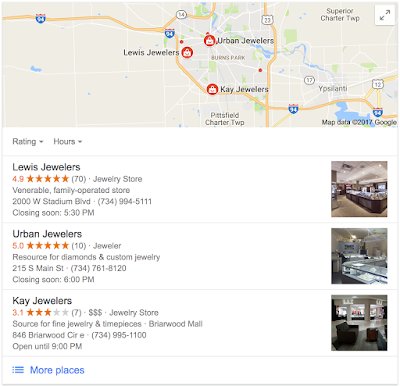 When a potential customer for your business looks you up via a search engine, they not only get a link to your website, but also a long list of your online reviews - and possibly the reviews of your competitors. This can be a good or bad thing depending on how much time you spend to build and maintain your online reputation. Building up a strong presence on multiple online review sites isn't hard, but it does take effort. Below we highlight 7 best practices that are proven to help businesses increase their number of online reviews and overall star rating. The exact timing as to when you invite someone to review your business matters. We recommend finding a time when the customer is still at your businesses and the experience is top of mind. Some of our customers who retail locations set up automatic triggers associated with the software they already use. So after a customer has visited the business, they are automatically sent an invite to leave a review. This is one strategy you can implement. Other business owners feel like the invitation should be more personal. So, they have an employee send the invite at the end of the transaction. This is strategy #2. It might take some trial and error to determine which time is best for your business, but when you do figure it out, make sure you are consistent with the timing. Next, you should make sure the process to leave a review is as easy as possible. Even if your customers love your business, they aren't going to leave a review if the process is hard. Spell it out for them, let them know exactly what needs to be done to submit the review. Don't leave any room for them to guess, because it won't get done. Create a review process that is frictionless and can be completed in about 1 minute. This is accomplished by implementing an online review management tool that enables your staff to send customers directly to the review sites that matter most to your business and removes steps that previously inhibited your customers from leaving reviews. The longer it takes to leave a review, the lower your conversion rates will be. An example of how a staff member might do this is as follows. "Thank you so much for coming in today, we really appreciate your business. I am going to send you an invitation right now via text message that will make it easy for you to leave us a review about your experience today. Our business depends on these reviews so I would really appreciate it if you could do that for us." It's important to have a balanced presence across a number of review sites. Typically this means targeting the big ones like Google and Facebook because most consumers are familiar with and use them already. But don't stop there. You should identify other sites that consumers in your community use and trust like Yelp, Consumer Affairs, YP.com, etc. According to Pew Research, 72% of adults in the US own a smartphone and they are on them constantly. Because of this, text messages are fast becoming the preferred communication channel over email. Don't believe me? Research has found that text messages have an open rate of 99% and customers open 90% of those within 3 minutes. This is significantly higher than email, so if you want your customers to see your online review invites try sending them via text. Finally, one of the most important things you can do to build and improve your online reputation is to engage with your reviews. Businesses should respond to both negative and positive reviews ASAP. The best way to manage your engagement is to have a tool in place that consolidates your entire online review presence into a single dashboard. Consolidating your presence saves your staff time, freeing them up to focus on serving your customers. Apologize: A simple, "I'm sorry," can go a long way towards rebuilding your relationship with an upset customer. Stay calm: It's important to not let emotions get in the way. We suggest having the response come from a manager or someone who has distance from the situation. Offer a proactive solution: If you don't offer the customer a solution to their problem, your apology might ring hollow. Take the conversation offline: Once you've offered a solution, provide them with a phone number or email address to reach out to you directly. Click here to learn more about how Podium can help you with your online reviews. Bio - Jon Eyre is the Director of Content at Podium which helps businesses drive purchase decisions by collecting user-generated content, in the form of online reviews. He has more than a decade of experience creating content for software companies of all sizes. In his free time, you can find Jon attending concerts, at the movies, or chasing after his three young children.